Two things conspired to delay project on the bench; first and foremost I was in paralysis over how to size the mortise and tenons and second of all my shipment of retaining wall blocks arrived earlier than expected. Friday I spent the entire day moving 4 tons of concrete blocks and 1 ton of base gravel from the side of the street, up a flight of stairs and into my back yard. Needless to say I was a bit sore the rest of the weekend. 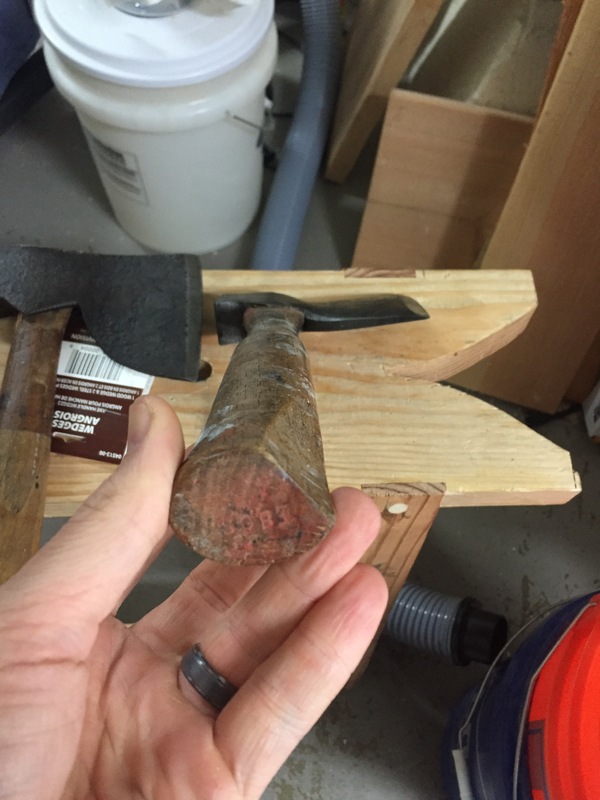 When I finally decided to get back into the shop I decided that rather than deciding on a tenon size I should fix up one of the hewing (single bevel) axes I picked up last weekend. Both heads had been loose so I removed them from the handles and they spent 24 hours in the electrolysis bath, coming out looking pretty good. 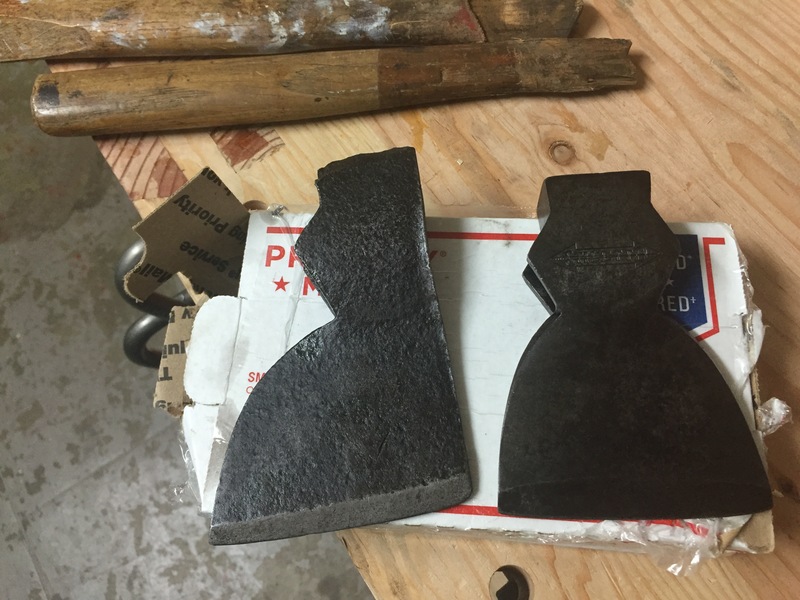 The one on the right was obviously commercially made by the Stilleto Tool company which was the largest producer of axes on the west coast (the now specialize in titanium tools); the one on the left has no logo and looks like it’s a laminate between iron and steel so I’m thinking it might be blacksmith made. 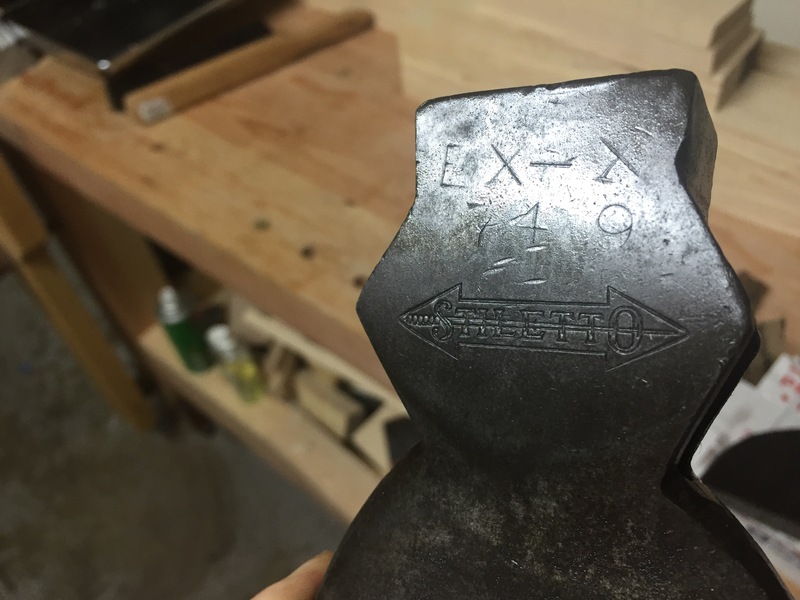 The Stilleto’s handle was salvagable and the other needs to have a new edge profile ground so the Stilleto gets to go first. 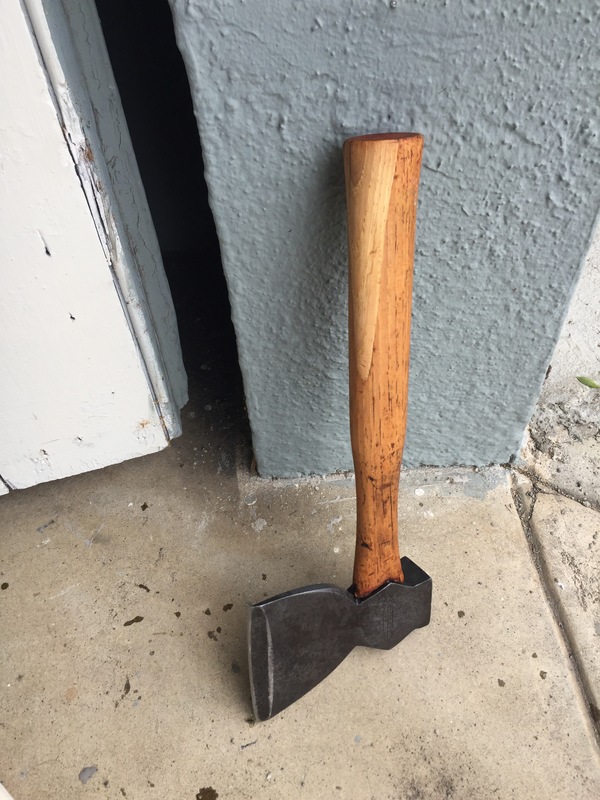 The handle had lost a big chip and was missing it’s wedges but otherwise was in good shape. The other handle was a complete loss so I cut off a section, split it along the grain, and planed both the donor piece and the handle flat. I managed to clamp the pieces together with some tight bond and left it overnight. 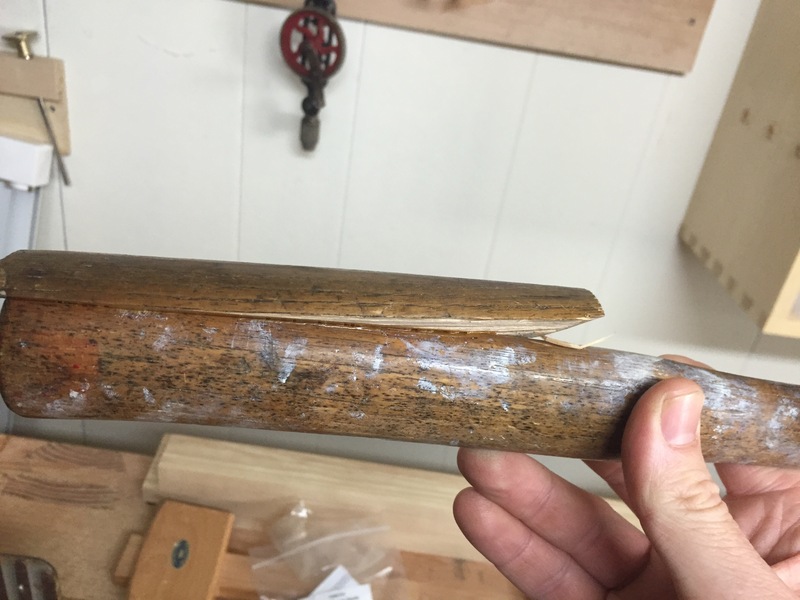 Once I managed to get the handle locked into a vise (Greg I am very jealous of your new shaving horse) I was able to use a draw knife and spoke shave to smith the two parts together then sanded with 220. 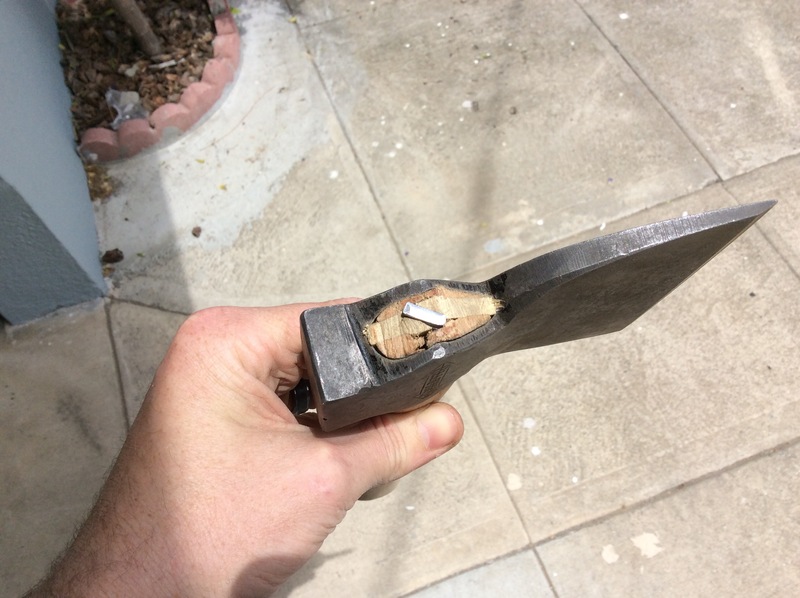 I had ordered a kit from Amazon.com (no hardware stores around me had them) that had two metal and one wooden wedge so I installed the wooden wedge and used a coping saw to trim off the excess before adding the metal wedge. 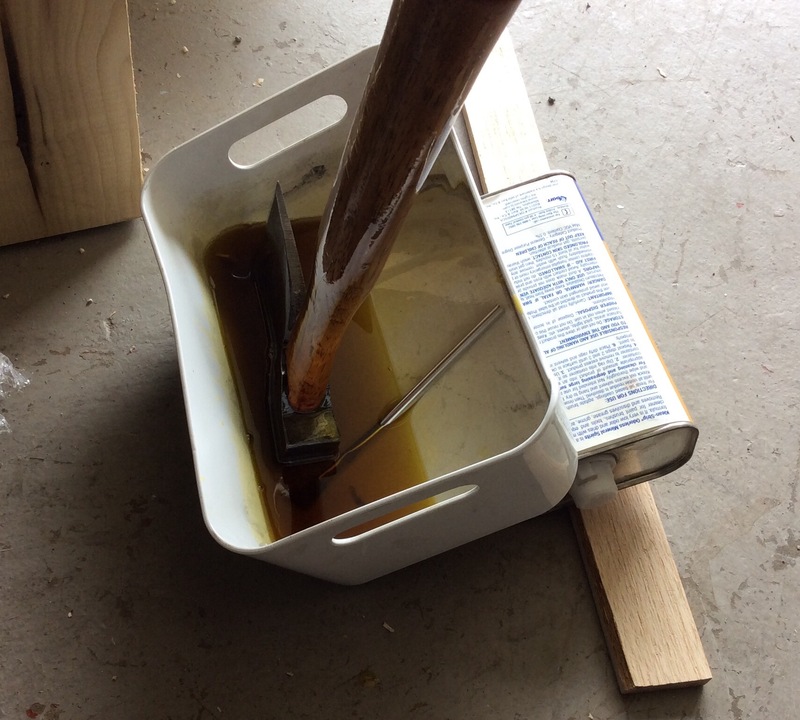 I had read that soaking the end in oil can tighten up old axes so the assembly went into some raw linseed oil (I’m out of boiled) and I brushed some on the handle as well. After about an hour I wiped off most of the excess, wet sanded with 320 and let it sit in the sun. 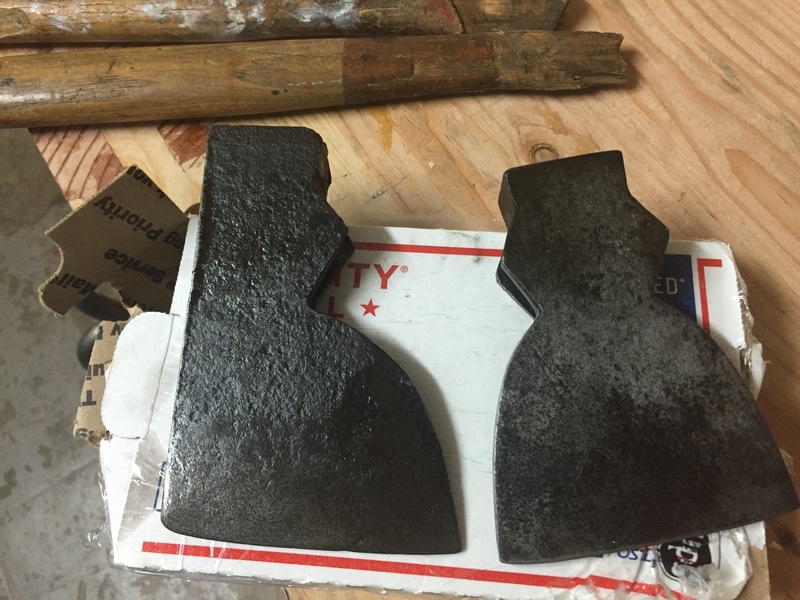 I need to spend some more time smoothing the back with my diamond stones (the back of a hewing axe is not flat) and sharpening the edge but it doesn’t look too shabby.